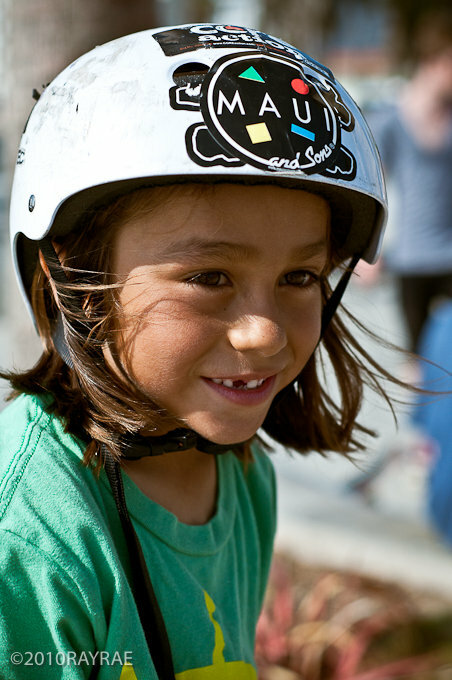 I Skate, Therefore I Am: Happy Birthday Asher Bradshaw! Happy seventh Birthday Asher Bradshaw! a long time ago for him…. picture was taken has now became totally irrelevant. ﻿Belvedere’s pools and bowls are not so big (well, the big pool is almost as deep as the combi), it is not too crowded (at least the bowls and pool), it is extremely well lighted, there’s plenty of good vibes and you can meet there a lot of talented skaters. At that time, there was one talent in particular that really draw my attention. 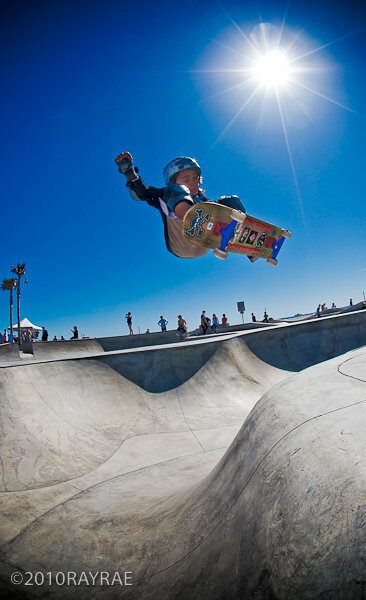 A little guy that was skating at his own pace, fully equipped with oversized pads and helmet dutifully surveyed by his father: Asher Bradshaw. Actually one of the reasons why Tom (Asher’s father) was bringing him at Belvedere was because Venice skatepark was not open yet and the other reason why they kept on coming after the opening is because the park is lit until very late at night. 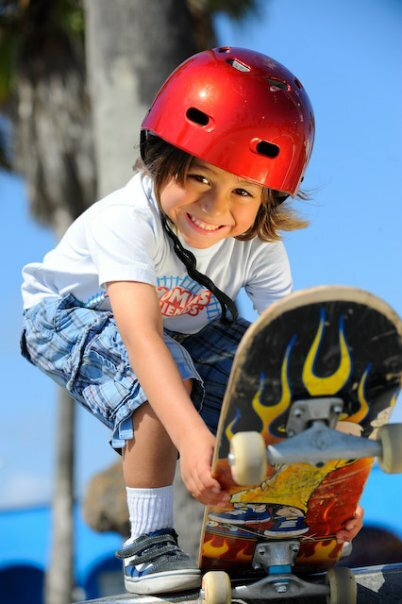 But, Tom never taught lil' Asher to skate because in his words: “I learn from people who skate … “ . Take that dad! Asher Bradshaw has been part of Venice skateparks’ opening, 14 months ago. many more are on the way. Photo Ray Rae. Belvedere is also the place where Asher did his first drop: right on the edge of the big pool! But the Ashers’ were and are definitely part of Venice’s fabric. 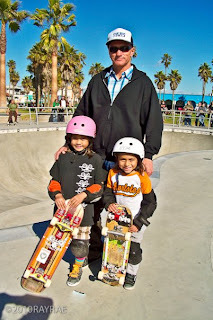 Since the opening the Asher’s, both dad and son have become the heart and soul of Venice skatepark. 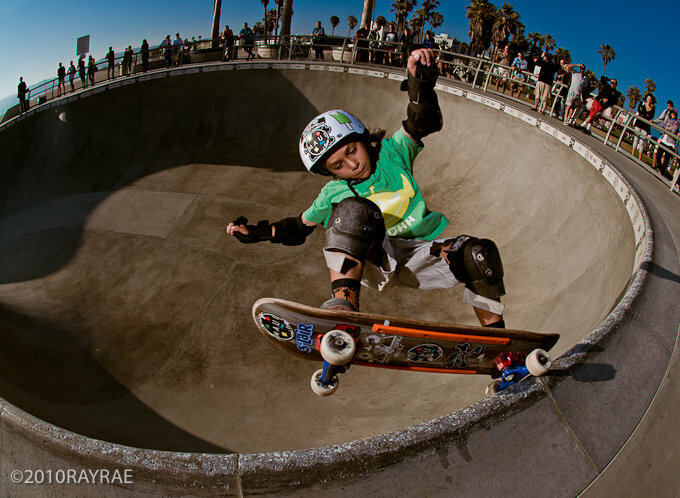 People like Matt Fisher, Ray Rae Goldman and scores of others photographers have taken hundreds of pictures of the little grom and posted them on their Facebook pages, to the amazement of the others. 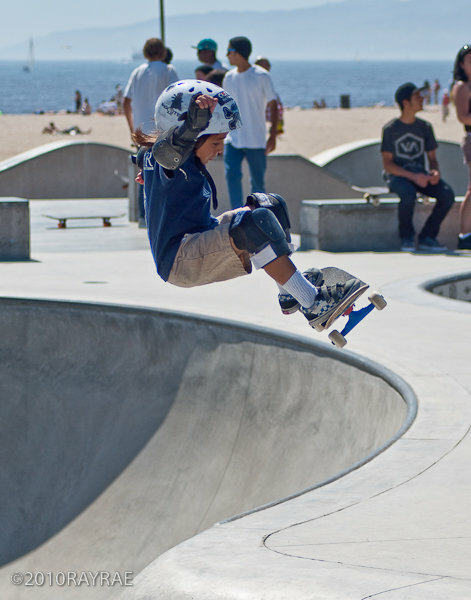 How can a little guy so tiny and frail can ollie that high in the air with so much ease is a mystery to pro skaters, dilettante skaters and non-skaters alike. Asher was once dubbed ThrAsher… Does that name still fit his skateboarding style? Photo Ray Rae. What would Venice skatepark be without Asher Bradshaw? When I reread the interview that we did in March 2010 I am amazed by so much simplicity and genuineness. At six year old, your world is not wrong nor right, it is what it is. At six years old, people don’t do things with an afterthought but do things because there are just in the mood to do it. ﻿God, I wish I could be six year old again and be like Asher and believe that the world is a magnificent and simplest place to live, where skateboarding is king and reading and mathematics is just a hobby. You never go back in time so that will never happen. In the meantime, Asher is going from six year old to seven on Nov 6th. Pictures by Tom Bradshaw and Ray Rae. Used by pernission. To see more pictures of Ray Rae or Asher Bradshaw, visit http://www.rayraepix.com/. You can even order you own prints of Asher from Ray Rae's website and have them mail it to your home in a couple of days. I met Asher and his dad at The All Girl Skate Jam/warped Tour in Carson this summer. 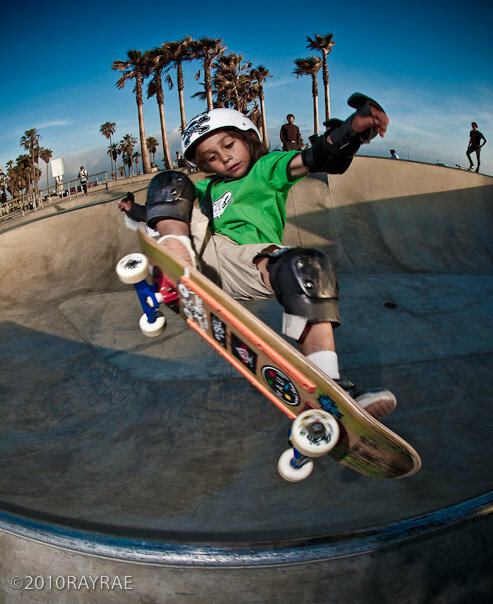 What a great kid - he and his dad remind me a bit of Christian Hosoi & his dad Ivan back when Christian was a little grom skating Marina. Happy Birthday Asher! !